Windows 10 is a free upgrade, right? Well, surely you know by now that there's no such thing as a free lunch. We're only 48 hours on from the launch of Windows 10 and already the complaining and criticism is underway. One thing that has been brought under the spotlight is privacy under the latest version of Microsoft's operating system. Some people have been surprised to learn that Microsoft is utilizing the internet connections of Windows 10 users to deliver Windows Updates to others. But this is far from being the end of it. Cortana also gives cause for concern, and then there is the issue of Microsoft Edge, and ads in apps. Is this a price you're willing to pay? Windows 10 is more closely tied to a Microsoft account than any previous version of the OS. This allows Microsoft to assign an ID number to users that can then be used to track them across different devices, services, and apps. This in turn can be used to deliver closely targeted ads to people. Microsoft has been pushing the mobile first, cloud first philosophy for some time now, and it becomes clear with Windows 10 that the love of the cloud is as much to do with the ability it gives Microsoft to gather useful data as it is about convenience for users. Without wanting to venture into FUD territory, if you want an idea of just how Windows 10 can be used to gather data about you, take a trip to Privacy in Settings. The number of settings listed here is really quite lengthy -- and just about all of them are enabled by default. The data is almost certain to be anonymized, but the setting labelled "Send Microsoft info about how I write to help us improve typing and writing in the future" will be of particular concern to anyone using their computer to conduct sensitive work. Then there is location data, the ability of apps to use your camera and microphone, and Cortana's access to your contacts, calendar, and anything else you might care to mention. If this concerns you, go to the Speech, inking, & typing section of Privacy and hit the Stop getting to know me button. The couple of instructions given in this article highlight another issue. 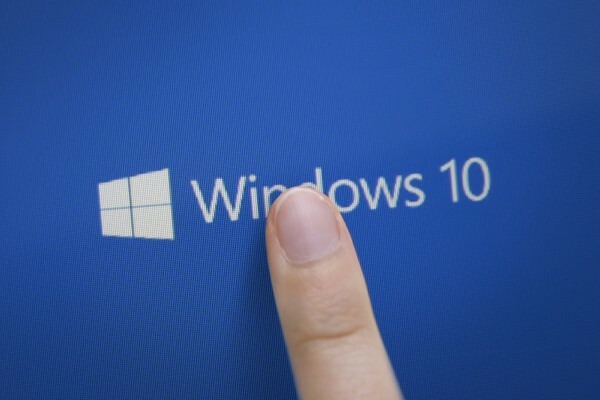 Windows 10 is a new operating system, and things work very differently. Not only are there new privacy settings to consider, but they are in a different place to where similar settings were found in the past. The Control Panel is still there, but a lot of things are now administered through Settings. If you're a Windows Insider who has been working with the various review builds for some months, this may well not be news, but there are a tremendous number of people -- millions upon millions according to Microsoft -- making the switch for the first time. Many of these people know little or nothing about Windows 10, and have no idea of what to expect. Few people who are offered a free upgrade will turn it down, or question why it is free. It seems that the invasions of users' privacy that Windows 10 affords Microsoft is the real price that people are paying. There has been a trend recently for companies to release transparency reports. Ironically, these were prompted by the activities of the NSA and the concerns raised by surveillance programs; people wanted to know how the companies they deal with were responding to government requests for data. With Windows 10, Microsoft has failed to be completely transparent with users about just what is going on in the background. Sure, the information is out there, but it is hidden away, difficult to interpret, and -- let's face it -- not something that the vast majority of people are going to spend the time to hunt down and digest. Are you happy to accept that the price of a free operating system is a little bit of yourself? Or will you be taking steps to ensure that your data remains in your control?